Earlier this year, scientists from the Scripps Research Institute showed for the first time that 'lifeless' organic substances with no genetic material — prions similar to those believed responsible for Mad Cow disease and similar, rare conditions in humans — are capable of evolving just like higher forms of life, a discovery that could reshape the definition of life and have revolutionary impacts on how certain diseases are treated." Natural selection is incredibly useful: it's resulted in everything alive so far, including us, it works to improve it all even now. The scientists at the Scripps Research Institute have shown that you don't even need to be alive to evolve, with prion protein populations enjoying natural selection. A prion is a chunk of protein, which doesn't sound like much because people don't appreciate how complex those things can be. Large proteins are to chemistry what War and Peace is to the alphabet: incredibly long and stuffed with more data than the human mind knows what to do with. Even the shape encodes information, and amazingly that's the aspect attacked by infectious prions – they're transmitted shapes, twisting healthy prions into catalytic carriers of their own twisted form. Normal prions, including the ones in your brain, are water-soluble. Which is good because you're mostly water. 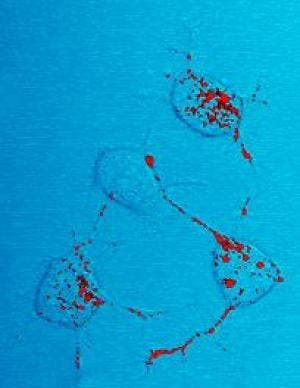 In prion problems like Creutzfeld-Jakob disease, an 'infected' prion has been folded into a lower energy but non-water-soluble configuration, the exact same chemicals simply arranged in a different way – which alters its chemical properties. This becomes a tiny grain in your brain which triggers the same shift in shape in other prions, building a growing chunk of protein inside your skull. With predictably disastrous results. What Professor Charles Weissmann and colleagues of the Department of Infectology have shown is that these shapes can evolve and adapt like lifeforms with DNA. As they 'replicate' by triggering shifts in other host prions there are an array of minor errors and changes, and in different conditions the best-suited shapes survive and multiply faster. It turns out that “things better suited to replicating in an environment will replicate better in that environment” is a tautology, not a controversial theory.